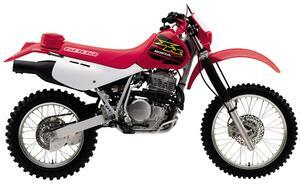 Looking for a Honda XR600R dirt bike? With nine national off-road championships, the Honda XR600R was the winningest big-bore dirt bike until 2000, when Honda introcuded the XR650R, which eventually replaced the 600 alltogether in 2001. We also include any XR500s we find, which was produced until 1984 and then replaced by the XR 600.